Saturday turned out to be a bit of an American-style day. It's been so muggy of late that it's not easy to sleep and I have been waking up quite early in the mornings. I'm naturally a morning person anyway, so I like to think of these early risings as enhanced breakfast opportunities. That't what I would call early morning meetings if I were a management consultant. That man of mine will not eat breakfast until he's up and ready for the day, so I got up and hit the kitchen. 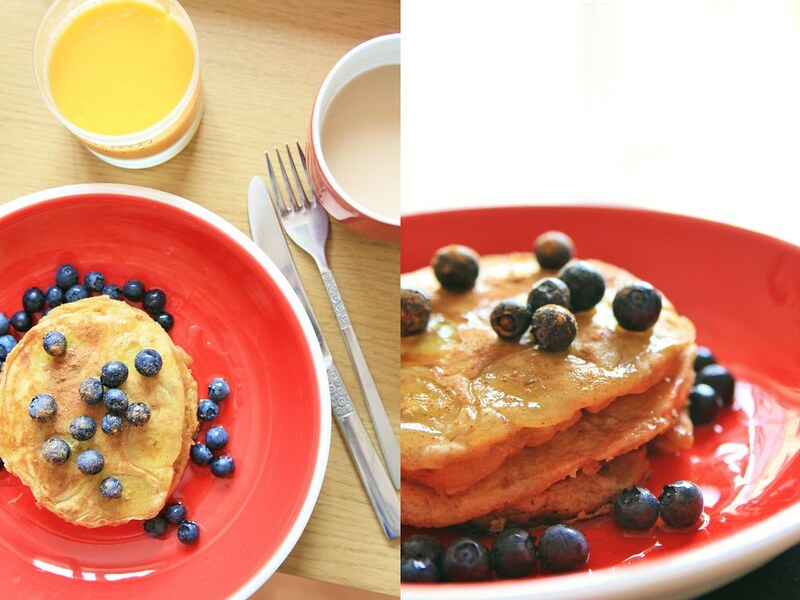 In my opinion, there are few things that can enhance a breakfast more than a pancake, so I made us a whole stack of banana pancakes (3 each - you have to draw the line somewhere) and we topped them with blueberries and maple syrup and a dusting of cinnamon. It was a great recipe from the BBC which you can find here, and worked a treat. Easy to follow, yummy results. And with 2 bananas in the batter (one each) blueberries on the top and a glass of smoothie too, you can get in 3 of your five a day. While I'm not going to pretend that this is healthy, that has to count for something. Basically, if you're ever at mine for breakfast or brunch, you should expect to be served these from now on. But do ensure you have a reservation. Saturday evening found us heading to a car park. Exciting times, right? 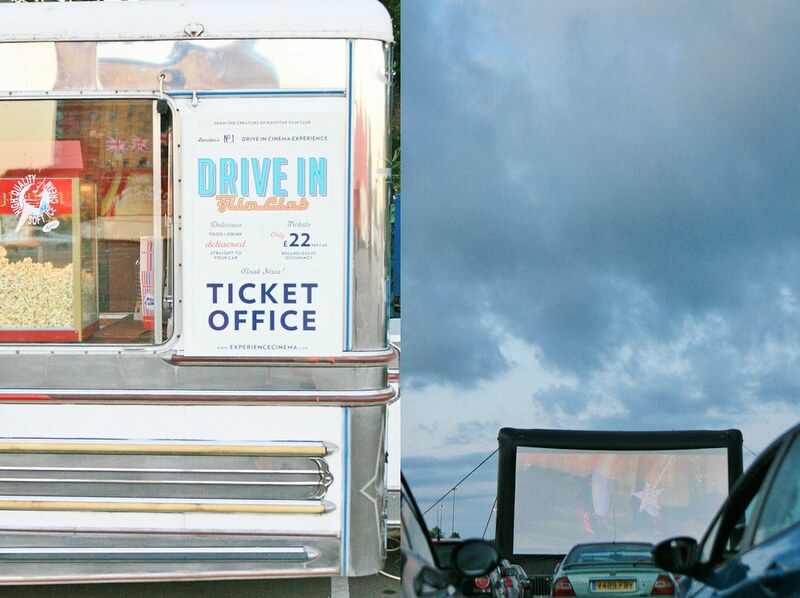 Actually the car park was playing host to the drive-in cinema, and I really felt like I'd stepped into Grease. It was brilliant! We were just over an hour early, but we had time to park up in a nice central spot with a perfectly clear view, and wolf down a cheeseburger each from the vendors gallantly barbecuing away in the car park. 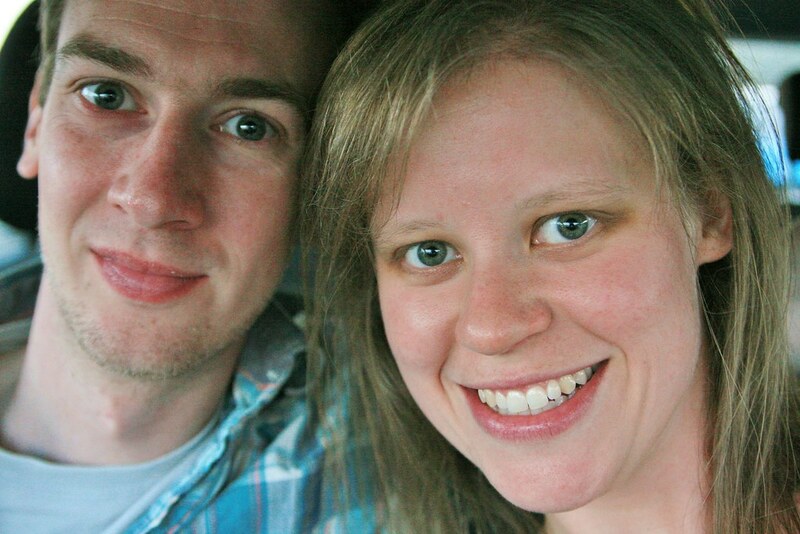 Back in the car, we pushed back the seats and reclined them and pondered what to do next. This is when he revealed a hitherto unsuspected skill: a very good sense for selfie opportunities. I've explained about my #50snapsofsummer project and used the traditional hold-camera-at-arm's-length technique to get our picture in the car. 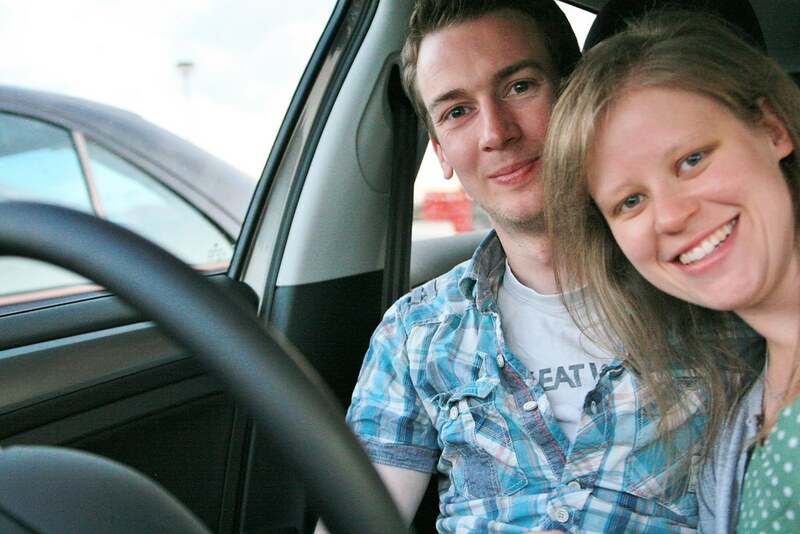 But then he came up with popping the camera on the dashboard for a different angle (although it took a few tries to make sure that we, and not the steering wheel were in focus). And then he suggested putting it in the back. 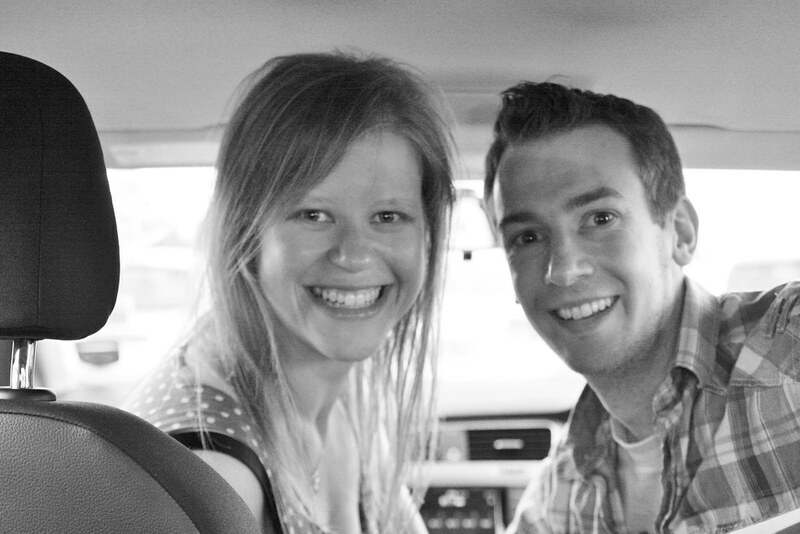 It was something of a challenge to set the timer and then climb out of the back set of the car and into the front seat before it went 'click! ', but I just about managed. However, the car behind us had its headlights on and our faces ended up as a weird patchwork of orange light and shade. It's less obvious in black and white. Finally, we had one final trick before the film: if you turned on your car's hazard warning lights, a waiter or waitress would be alerted and would promptly fetch up outside your vehicle and knock on the window. And they did it on roller skates! Roller skating waiters! Anyway, we ordered popcorn and chocolate for the film, and within moments our cheerful waiter had zoomed back and passed our goodies through the window. We settled back in our own little pod to watch the film, and the sound came through the car's speakers - you just had to tune your radio to the correct frequency. The film was Godzilla, the new 2014 version, and it was brilliant. We'd seen it before and loved it, and it made a great, disaster, drive-in film and Godzilla stomped things into the ground and took on those dastardly MUTOs. After a very all-American-seeming Saturday, nothing would do on Sunday but to have a very British Sunday roast. I feel I should point out here that one of my lovely man's talents is cooking a roast. I don't know how he does it. He manages to do it in a very subtle, non-stressful, off-hand, nonchalant sort of way whilst making me cups of tea and fetching me glasses of wine, and he always declines help and seems to spend very little time actually cooking. He makes these amazing roast potatoes that I think I could live on happily, and he always does parsnips which are my favourite vegetable. And whatever he produces is simply delicious! 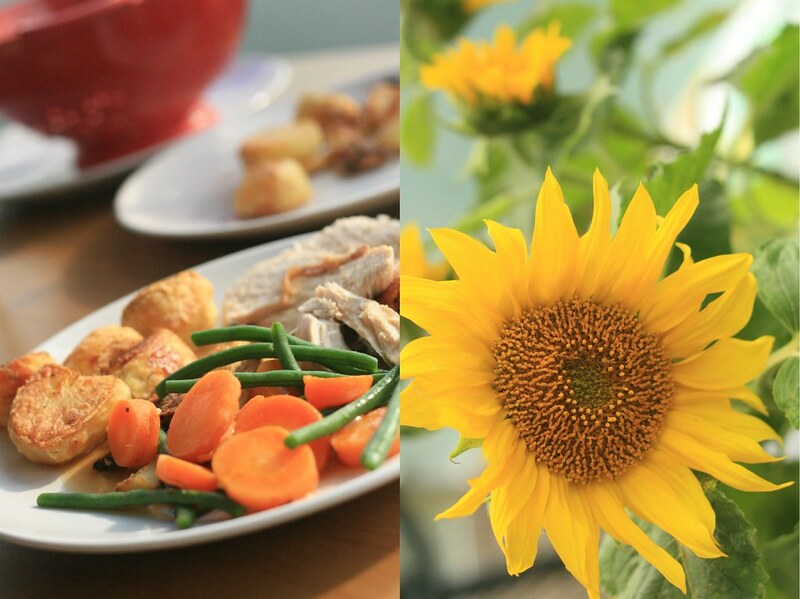 This weekend he did beef, but I must confess that these pictures are actually from 6th July when he roasted chicken and we pushed the table out onto the balcony to sit in the sunshine with the sunflowers. P.S. Adding these 10 photos onto the #500snapsofsummer means that I have now taken 185 and have 315 still to go. Looking forward to hitting that 200 mark! Really enjoying this series of yours and seeing all my fav places - London and Brighton. And the kind of holiday I could have without a one-year-old little boy! 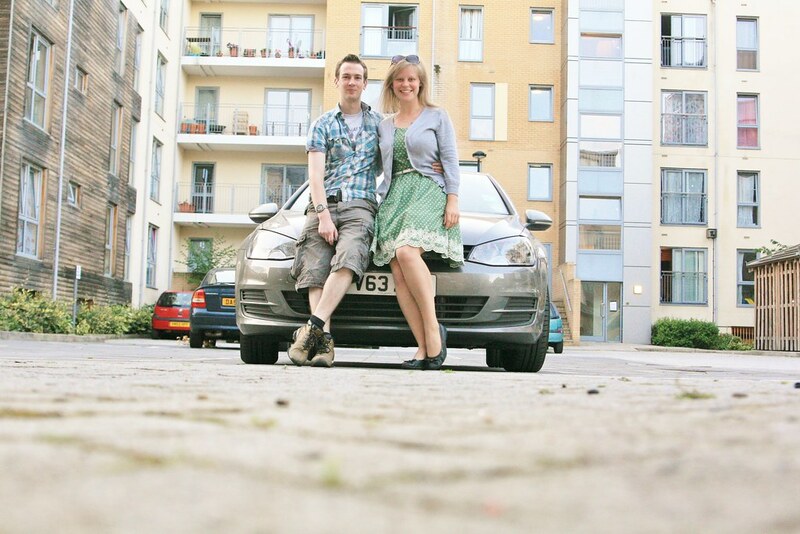 We're more parks and softplay than meals out and drive in cinemas but its all good. Great selfies too! I think your guy is a keeper!